Much research has been carried out on Jarrah honey. It has high antibacterial and antimicrobial activity and due to its high hydrogen peroxide level, it can inhibit Golden Staph Bacteria. Level of activities at major enzymes in honey are identified and measured by scientists which resulting an overall data of honey activity index as total activity referring as “TA”. The larger number represents the stronger antibacterial level of the honey. 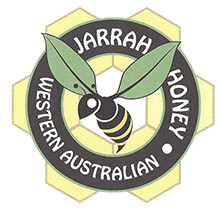 Where is Jarrah Honey found? The Jarrah Forest is home to the Marri (Corymbia calophylla), Forest Blackbutt (E. patens) and Bull Banksia (Banksia grandis), thousands of wildflowers and about 150 different species of birds, 45 reptiles and 29 mammals.